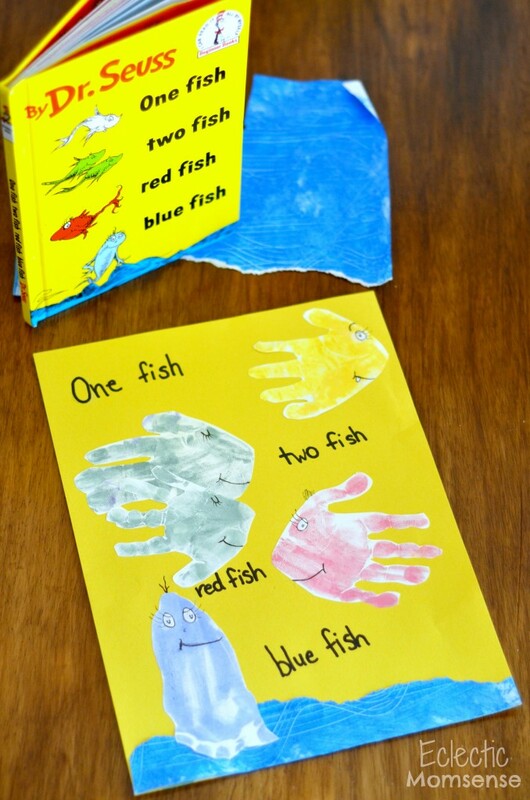 One fish, two fish, red fish, blue fish is one of those iconic Dr. Seuss books that everyone recognizes. The fun rhyme and brightly colored cover makes it one of my kids’ favorite. I didn’t want to miss out on celebrating this timeless children’s book author so we whipped up something quick. Mom had a heavy hand in adding the detail, but this is something Aiden (4 YO) could have done on his own. 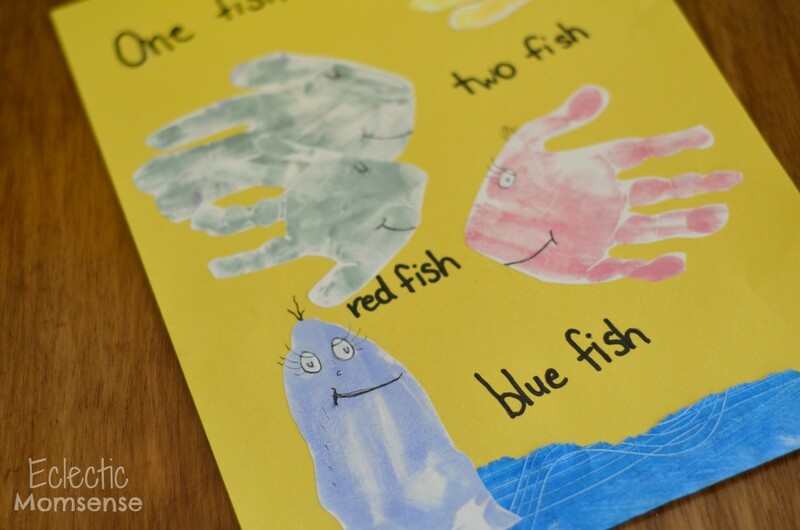 I used my new favorite quick and mess free handprint method. Then added a little bit of our handmade paper for the water. I love how this one turned out so much I think we might continue the handprint theme and make a book of cover art. 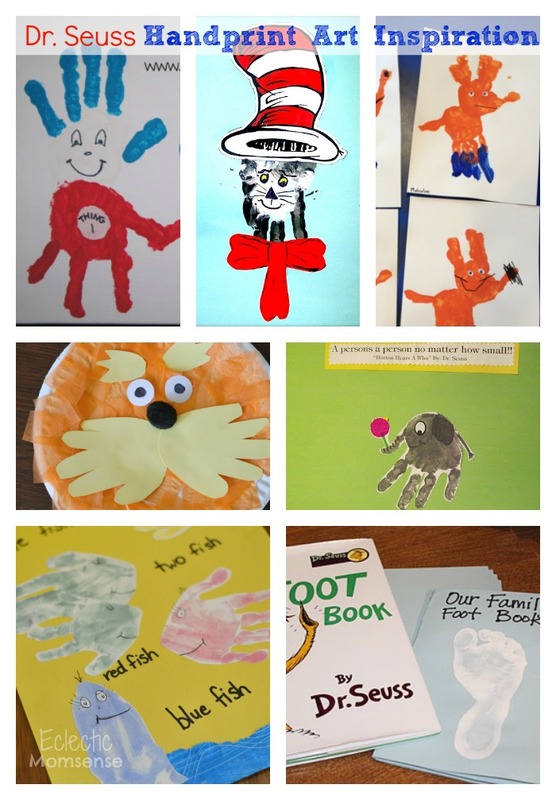 Checkout these other fun Dr. Seuss handprint art projects for more inspiration.